Kerry Film Festival has revealed its first official selections for this year’s festival, which will run from October 17th - 21st, 2018. Bringing exceptional films from around the world along with national and regional short film programmes, the festival will also host a curated programme of feature films alongside school screenings supported by the IFI. This year, Kerry Film Festival has also announced a film exchange partnership with Bolton Film Festival. On October 17th, the opening night film, sponsored by Randles Hotel, is the premiere of ‘Tradition’. Starring Paul Ronan (‘Veronica Guerin’, ‘The General’), Pascal Scott (‘The Young Offenders’), Brendan Grace, Marty Morissey and Micheál Ó Muírcheartaigh. This second film from OC Productions, written by Damian O Callaghan and Claire Corrigan, tells the story of a Judge (Paul Ronan) who, on his last day on the bench, finds himself presiding over the most controversial case that his court and his town has ever seen. In keeping with the festival’s emphasis on music in film, there will be the Irish premiere screening of ‘Melody Makers’, from director Leslie Ann Coles, which tells the true story of the rise and fall of the most influential music publication in history, Melody Maker magazine. The Irish premiere of ‘Mad Hannas’ directed by Martin Shore is a film about brothers and musicians Jerry and Seán Hannan, chronicling their rise, fall, and ultimate reconciliation and will be followed by a live performance in Killarney from Jerry Hannan and band. Kerry Film Festival is delighted to host the Irish Premiere of SXSW grand jury prize winning feature film ‘Thunder Road’. Based on the 2016 award winning short film of the same name, Jim Cummings plays Officer Arnaud who raises his daughter as a love letter to his late Mom. Screenings of award winning film, ‘When All is Ruin Once Again’ and ‘The Man Who Wanted to Fly’ add to the growing presentation of documentary feature film in the KFF programme. Each year, awards are presented in seven different categories. Many winners have gone on to success in other festivals and the Kerry Film Festival has screened a significant number of films that have been nominated for Academy Awards including the 2018 Oscar winning short film, ‘The Silent Child’. More screenings and events to be announced. 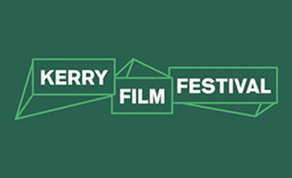 The Kerry Film festival runs from October 17-21st in Killarney.